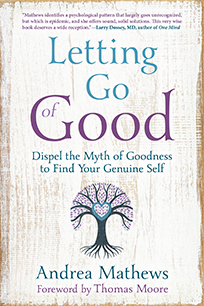 Rediscover your true self with Letting Go of Good, an empowering guide to dismantling the false connection between being good and being worthy. While exposing the dangers of the guilt-led life, practicing psychotherapist Andrea Mathews shares innovative tools and techniques for healing, including how to understand and dialogue with emotions, develop intuition and discernment, and make decisions from a place of honest desire and compassion. Featuring a Foreword by Thomas Moore, author of Care of the Soul, this book provides the guidance you need to embrace the real, authentic you. With illuminating composite examples from Andrea’s clinical experience and a powerful exploration of the pathway to healing, Letting Go of Good presents a breakthrough approach to creating genuine relationships and awakening your true self to find peace. Heaven. We say the word with both a hope of long-awaited bliss and a certain but wistful knowledge that the wait will continue. Life is hard, we say, and the world will end with a whimper or a bang by the hands of blind and evil humans. But then there's heaven. Yet, what if heaven could be experienced every day right here, right now on planet earth—and the only thing that keeps that from happening is the lie. The lie that we are separate from the Divine due to our polarized, sinful, bad and even evil natures. What if, because we are blinded by that lie, we cannot see that we are already living in heaven, in fact, we ARE heaven? And what if those truths could actually be found in the Bible itself, as well as in all of the other sacred texts of the world? What if all that really needs to happen is that the scales fall off of our eyes? If that were true—would you be willing to see? 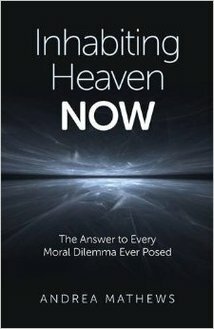 Simply put, Inhabiting Heaven NOW offers the next phase of our evolutionary spiritual development. 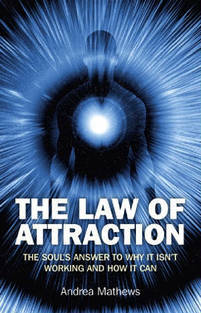 Perhaps the reason we are having so much trouble manifesting through the Law of Attraction as we currently understand it, is that the soul is unwilling to do what that law requires. If that is true, then we need to get clarification on the Law of Attraction. Our experiments with this law have not proven its current understanding to be valid. Because that is so, we are being forced by our own disappointments to go deeper. Through that process what we are discovering is that there really is a Law of Attraction that works harmoniously with other Universal laws, but it doesn't work like we thought it would nor for the reasons we devised. In fact, we are being required to change our understanding of that law completely in order to receive what it truly has to offer: an entirely new paradigm of life coming from an entirely new version of ourselves. The Law Of Attraction: The Soul's Answer To Why It Isn't Working And How It Can brings a radical and joyful revision to that law. The central issue of our lives is self-definition. Most of us have defined ourselves by the requirements of our early upbringing—even if that upbringing required that we act out the “bad guy” role. In fact, we put on masks and costumes meant to help us survive so subliminally and so early that we are completely unaware of the role and its effect on our lives. But the roles meant to save us have quite often become the albatross around our necks while we walk the planks laid out for us by those very roles. Within us, however, and awaiting our discovery is an Authentic Self, and its inherent peace. It’s been sending us messages all along, but we’ve been so busy living out the role that we haven’t heard the messages at all or if we have they come in the form of feelings we’d rather not feel. 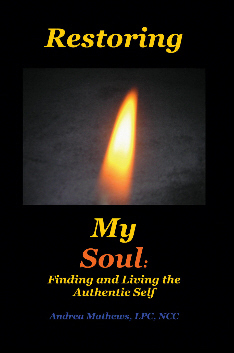 Restoring My Soul is a step-by-step personal guide to YOUR Authentic Self. It allows you to discover both the masks and costumes with which you have identified and the Authentic Self. It introduces you to yourself at a profound, even spiritual level and allows you to begin to take charge of your life in a way that you have never before dreamed possible. Andrea’s Psychology Today blog contains articles about various psychological issues. The page has over 2 million readers. Check it out here: https://www.psychologytoday.com/us/blog/traversing-the-inner-terrain.